After trying different experts to try to alleviate the pain, Estelle had reached rock bottom. Realising that the NHS could offer her very little to help, she began her own research into what was on offer locally in Kingston and stumbled across YMCA Hawker’s Back Care Pilates class online. “I thought I would try the class as the pain has affected every part of my life. I have a very active job as a teaching assistant in a primary school in Kingston with 7-8 year olds and children with special educational needs. I’m a single mum too, so I need to keep myself as fit and healthy as I can. YMCA Hawker’s Back Care Pilates instructor is Kate Collister. 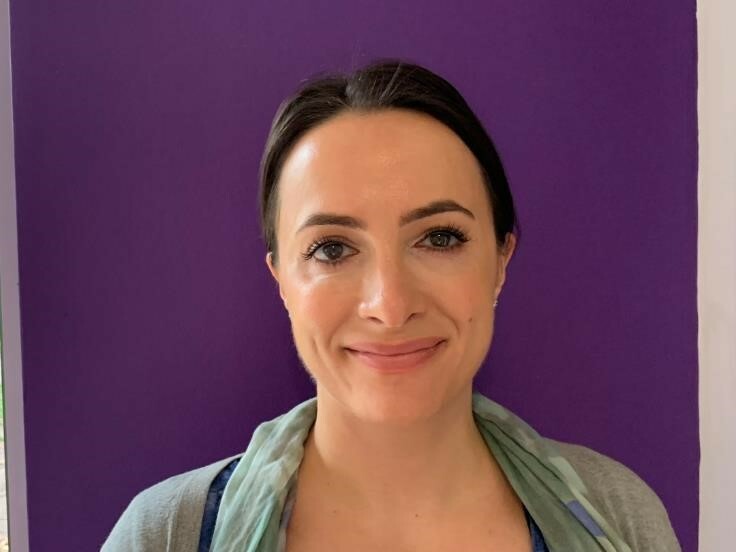 Kate has a Level 3 qualification in Pilates, and additional specialist qualifications including Bone Health, Exercise for the Older Adult and Level 4 Movement and Adaptations. As a Bone Health Specialist, Kate has also completed Healthy Backs courses focusing specifically on the causes, prevention and management of back and neck pain. All those who attend the Back Care Pilates class are encouraged to move at their own speed, depending on their level of pain and mobility. “Everyone should do a Back Care Pilates class, regardless of their age. We’re all looking down at our phones and not thinking about the spine. The methodical, slow and repetitive movements are so effective. I really feel I am progressing. I can even do sit-ups now because Kate has taught us the technique plus I’ve learnt so much about breathing,” says Estelle. Kate is pleased to see that the classes are really helping local people in the community to manage their back pain. “I love teaching these classes, they are so varied and I can see that people are benefitting. The Back Care Pilates classes are sociable too and help address the isolation that chronic pain can inflict on people. Those who come to my classes are very supportive of each other,” says Kate.